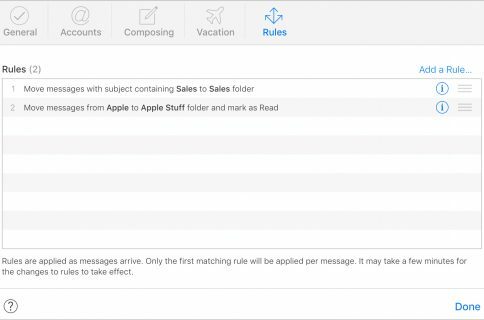 Downloading email attachments to your iPhone or iPad is not complicated per say, but it’s not very straightforward either. Over the course of the years, many third-party email apps have actually seen this as an opportunity and started offering easier and better ways to handle attachments. 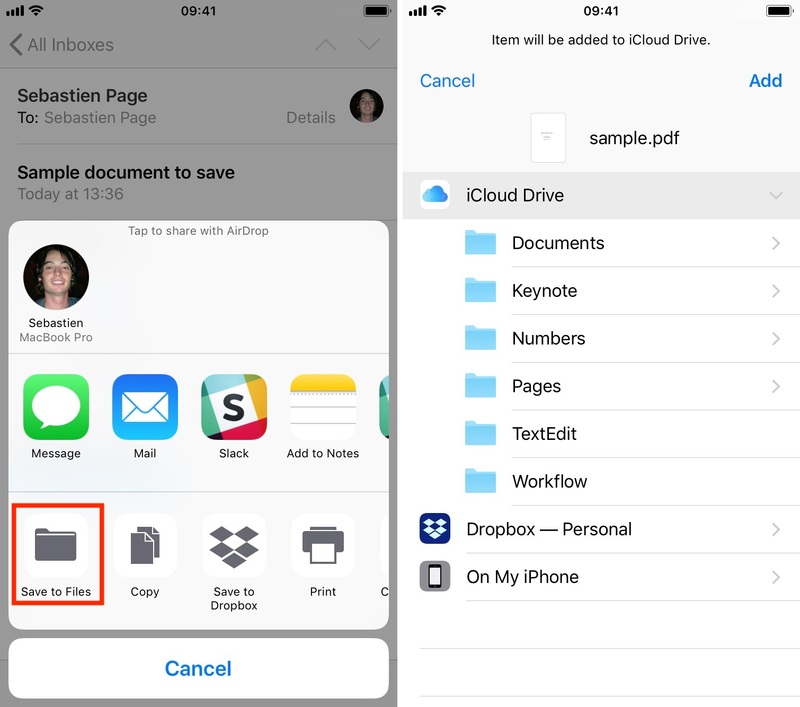 However, Apple has slowly closed the gap, and even if there is still no proper file system on iOS, it is now easier than ever to save an email attachment. Now don’t get me wrong, it’s not perfect quite yet. 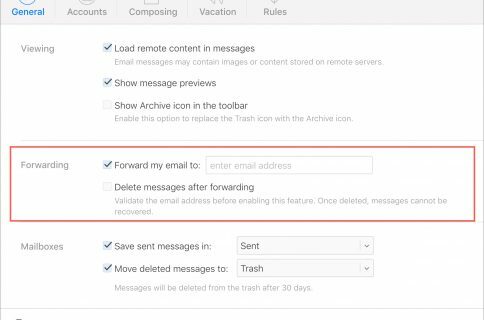 In this post, we’ll show you how to save attachments from emails received via the Mail app on iPhone or iPad. Note that these are iPhone screenshots but the steps explained in this post are identical regardless of the device you’re using. If you are trying to download attachments from your iPad, fear not, because the process is exactly identical. 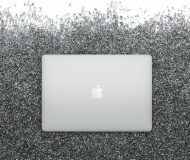 Where are email attachments saved? The first question you should ask yourself is regarding the location of these attachments. 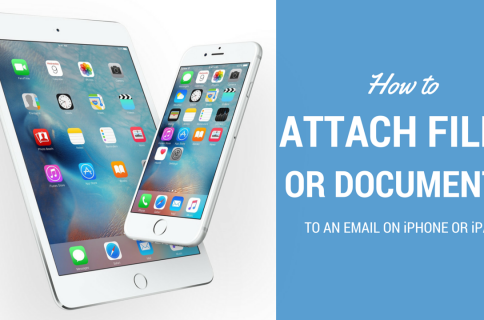 Unlike what you may be used to on a computer, you don’t have the option to save an attachment to your iPhone or iPad that easily. 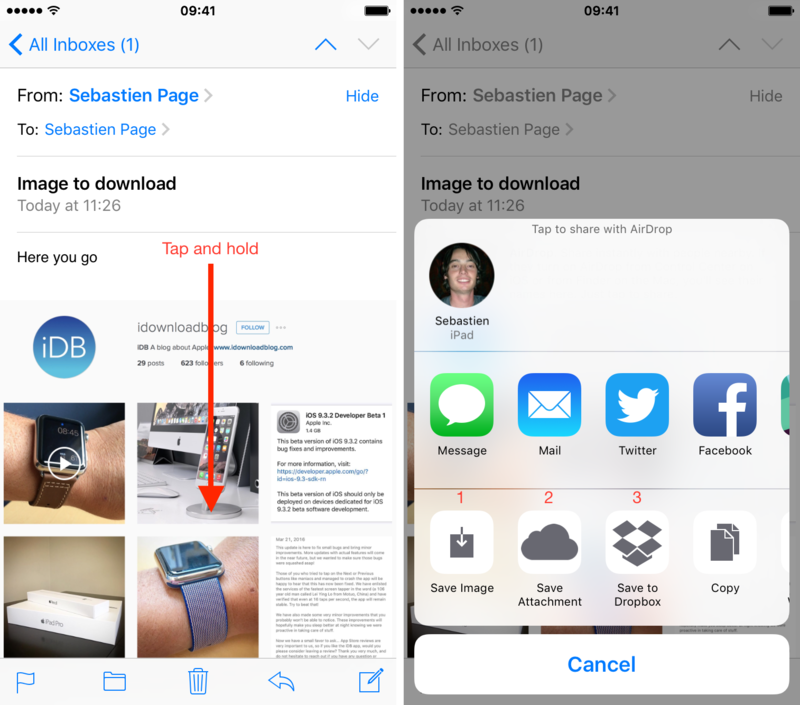 By default, and assuming you’re using iCloud, the Mail app will offer to download the attachment to the Files app. If you use third-party services such as Dropbox or Google Drive, you will be able to save attachments there as well. 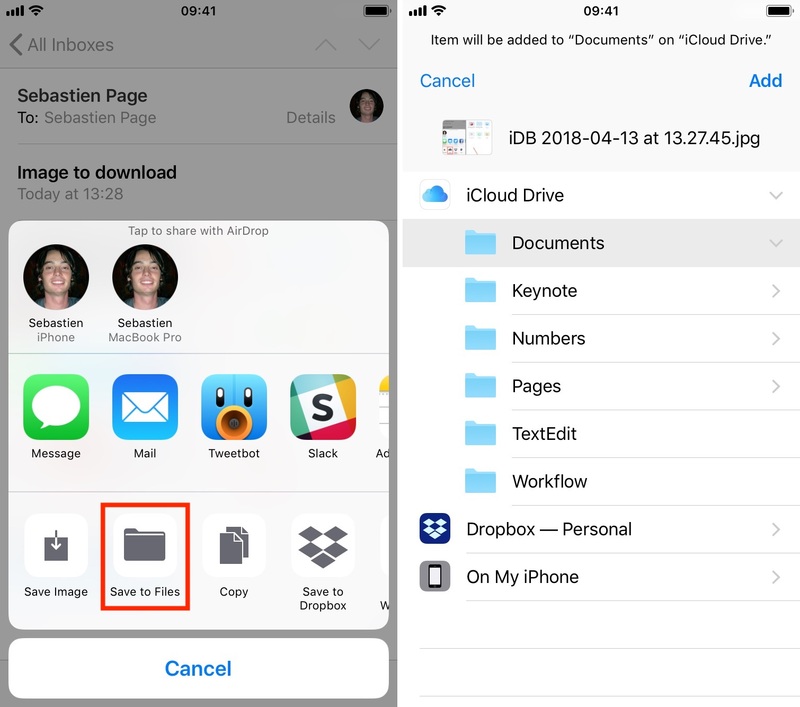 This may be a better option for people with limited iCloud storage space, or for users who prefer a solution that is available across multiple platforms. 1. 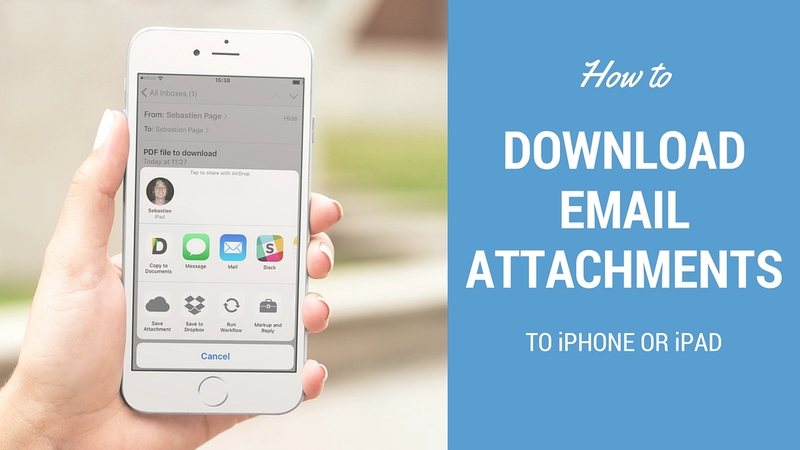 Launch the Mail app and locate the email containing an image that you want to save. 2. Tap and hold your finger on the image for a second or two. The following Share extension will pop up, offering several options. 3. Depending on where you want to save the image, you will have to choose among different options. Here we’ll see how to save the image to your Camera roll, iCloud, or Dropbox. To save the image to your Camera roll, simply tap on the first icon you see on the screenshot above, the one that says Save Image. Once done, the image will be automatically saved to your Camera roll and you will be able to see it using the Photos app. To save the image to iCloud, tap on the second icon labeled Save to Files. From there, you will be able to specify a folder where the image should be saved to within iCloud. You don’t have to choose a folder. You can simply tap on iCloud Drive, then select Add, and the image will be saved in the main iCloud Drive folder. 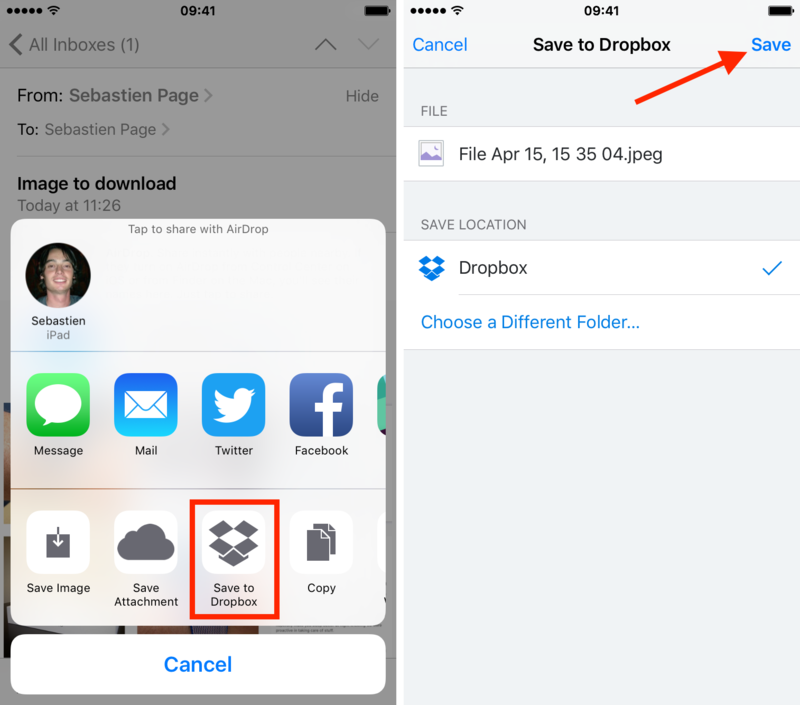 To save the image to Dropbox (or any other similar third-party cloud service), tap on the Save to Dropbox icon. You will also be able to specify a folder where to save the image, or just tap Save to save the image to the main default Dropbox one. As mentioned before, the process to save various file types is almost identical to saving image files, except you won’t have the option to save the file to your Camera roll, obviously. 1. Locate the file you want to save from the Mail app. 2. Tap on it and hold your finger until the Share extension appears. 3. Select where you want to save the attachment to. I’ll run you through two different options: iCloud, and Dropbox. 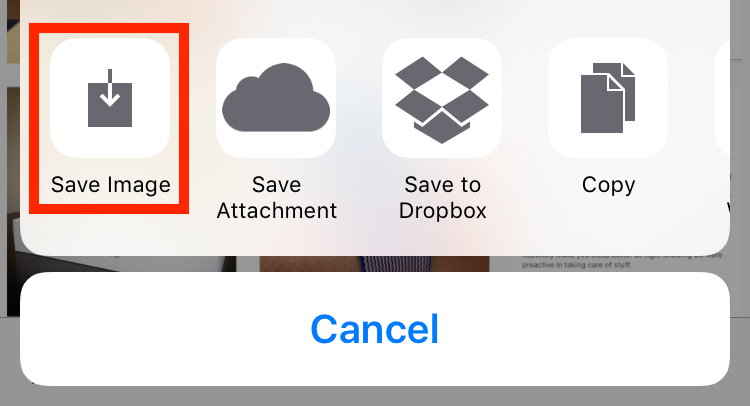 If you want to save the file to iCloud, simply tap on the Save to Files icon. You will then have the ability to select a different folder within iCloud. Tap Add in the upper right corner when done. 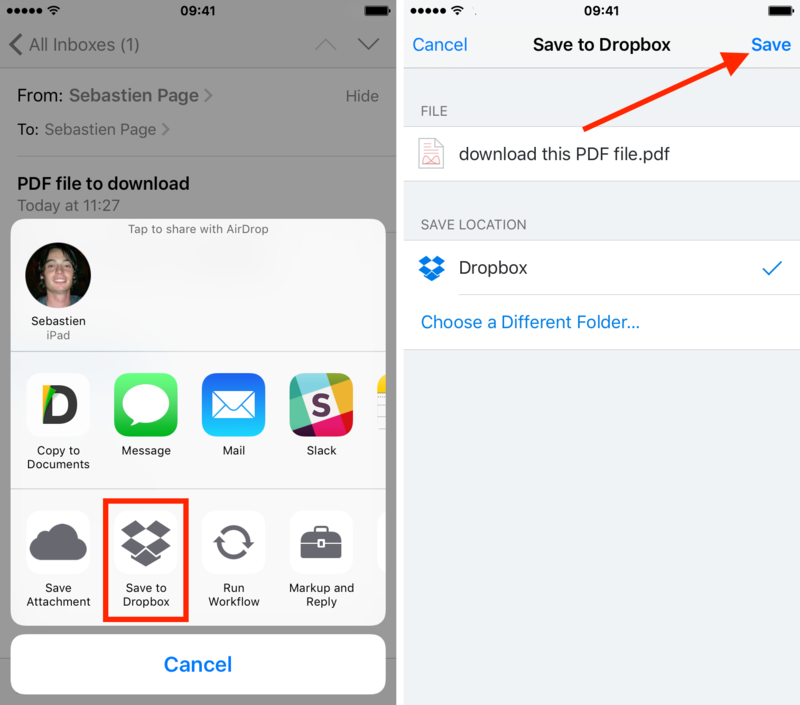 To move the file to Dropbox, select Save to Dropbox, then if needed, select a different folder to save the file to. Tap Save when done. If you have questions or comments, feel free to send them my way. I’m also always curious to learn new productivity tips, so if you know something you feel could make this workflow better, please share with all of us in the comments section below.